For a hassle free way to see the Cotswolds then jumping on a luxury air conditioned coach or Minibus is the best of options whether it is simply a day tour or several days overnighting in wonderful hotels. 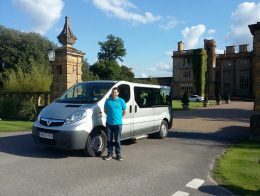 Here we give a selection of companies specialising in Cotswold Tours and trips with both London and local departures. Most of the companies provide highly knowledgeable driver guides in attendance to ensure you get the most out of your trip. 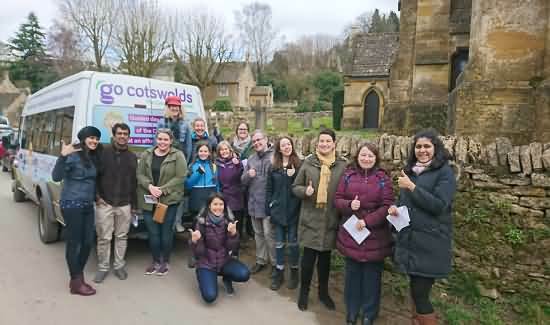 Our Cotswolds Day Tour operates on Wednesdays, Thursdays*, Fridays and Sundays and costs just £40 per person for adults, £30 for children and £110 for a family of four (2 adults, 2 children). • A secret off-the-beaten-track Cotswolds village - you'll have to join us to find out about this one! Our tour is at a relaxed pace with ample free-time built into the day to shop, take lunch and explore on your own at our stops at Chipping Campden, Stow-on-the-Wold and Bourton-on-the-Water. The tour offers a great introduction to the Cotswolds - at an affordable price - visiting locations both on and off the beaten track and with pick-ups from Moreton-in-Marsh train station you can easily join us on a day trip if you're staying in London or Oxford! Private tours (following the same or bespoke itineraries) available for groups between 1 and 16 on request and for details about our Purity Brewery and Cotswolds Pub Tour visit www.gocotswolds.co.uk/ale. *Thursday tours operate from the start of June until the end of October. +Pick-up from accommodation providers available in Stratford-upon-Avon. Pick-ups also available from Leamington Spa station and Chipping Campden on request. 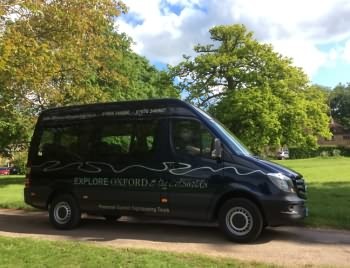 If you are planning a visit to the Oxford or Woodstock areas and would like to join one of our Tours, please Contact us with details of your requirements or telephone us.